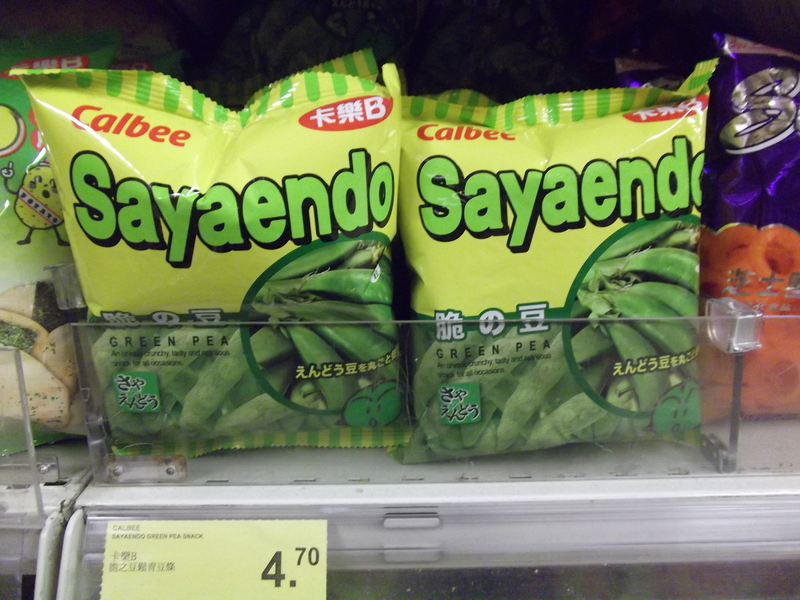 It is a bit of an understatement to say that the snacks over here are ‘different’. You get all kind of ‘exotic’ products and flavors that you would never find over in the west because it just wouldn’t do well on the market. 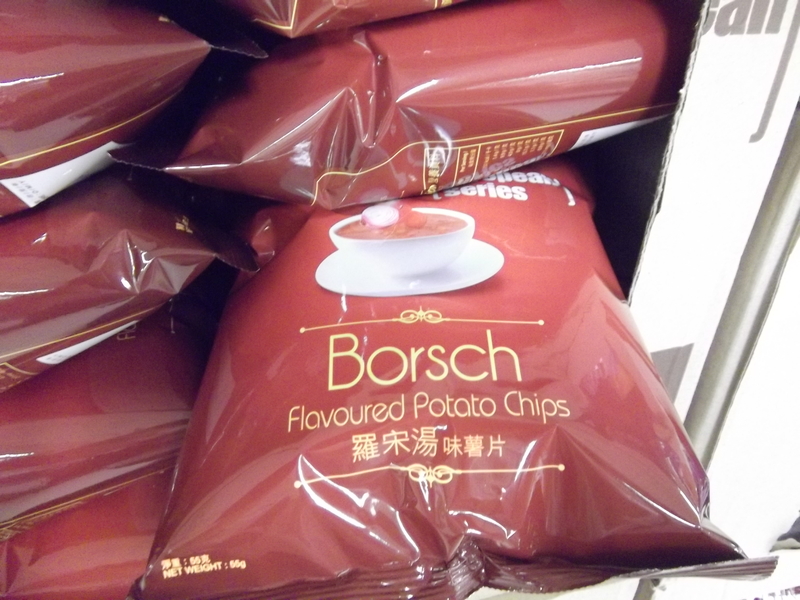 BORSCH potato chips? Where they get that idea from? Mmm! 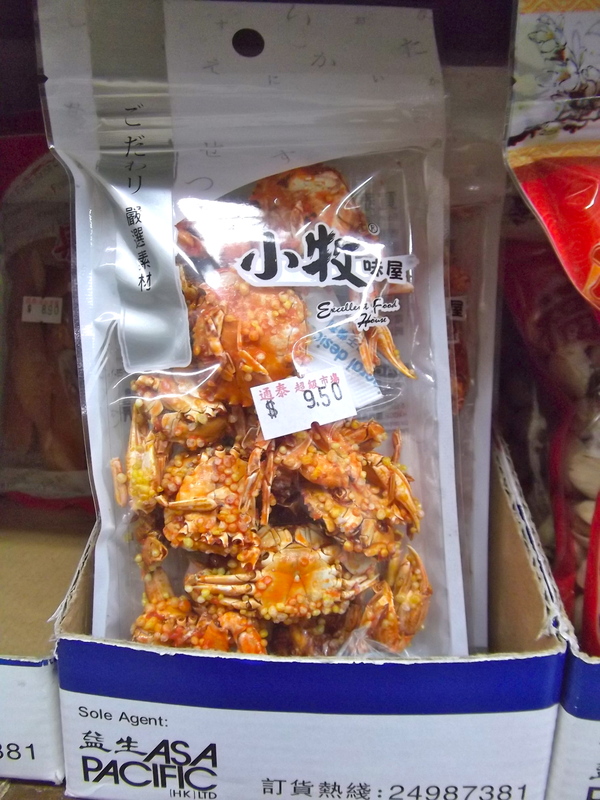 Bite sized whole crabs! Yummy! And last but not least, the quintessential Hong Kong snack and a major ingredient in many different types of meals here, from bread to dumplings to pastries — PORK FLOSS. What is pork floss, you may be asking? No, it’s not meat flavored dental floss for your teeth. 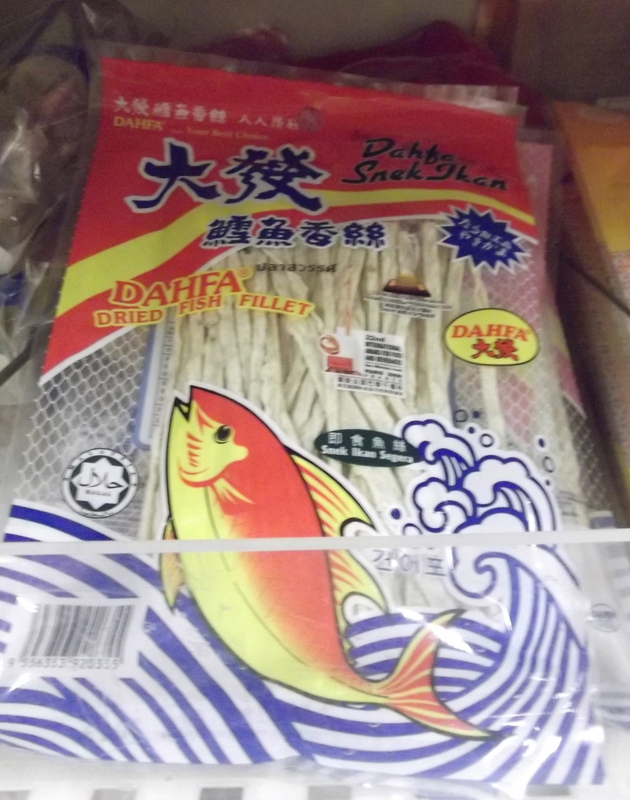 It is a dried pork product that has been stewed, teased apart, and then dried until it becomes light and fluffy. It is kind of like beef jerky, except soft. 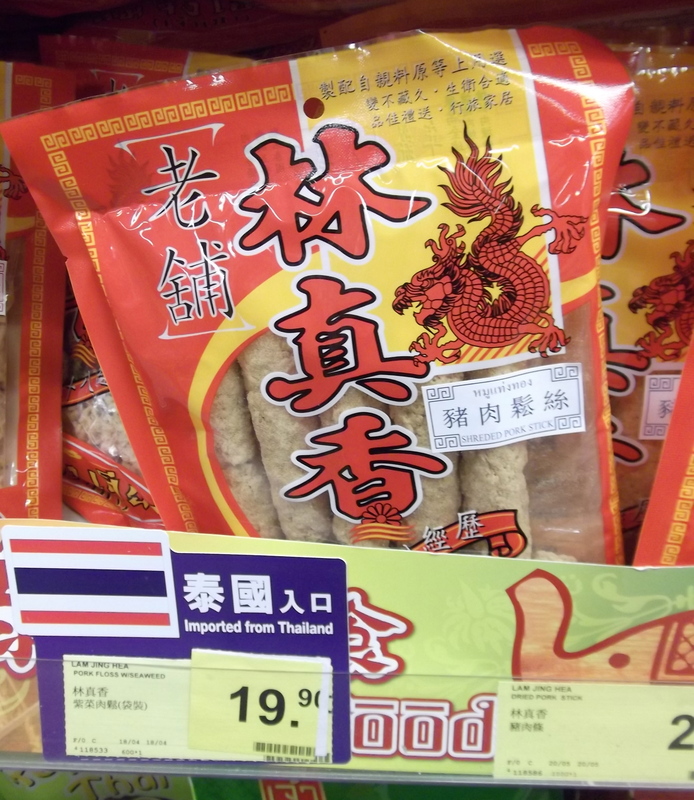 They make pork floss into all kinds of snacks, like the one below, or put it on top of all kinds of freshly cooked food. You can read more about pork floss here. So what do you think? Which one of these would you want to try (or avoid)? Those crab things look tasty. Aren’t they kind of hard to eat? I think I might loose weight there. Do they have chocolate? If so, that’d be my pick of snacks. 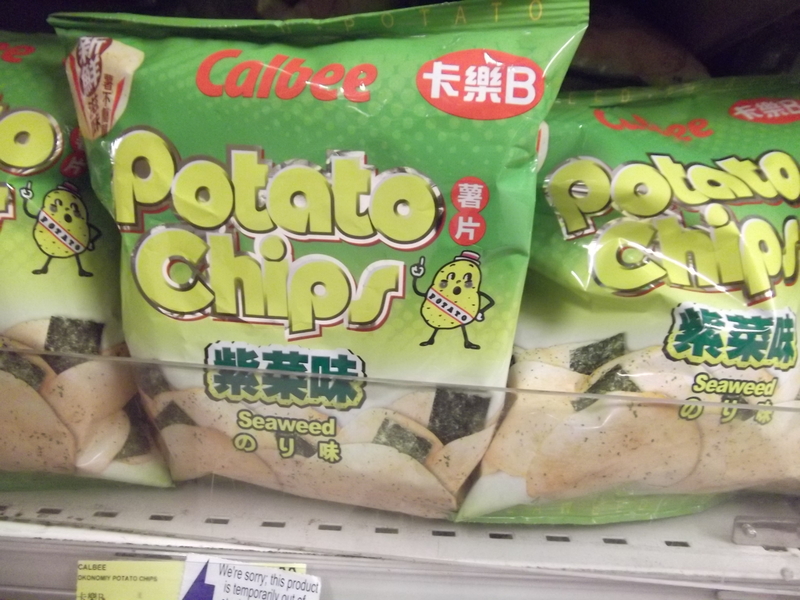 Oh yes, you can get everything in HK… these are just the ‘local’ snacks! Or, at least from this part of Asia. 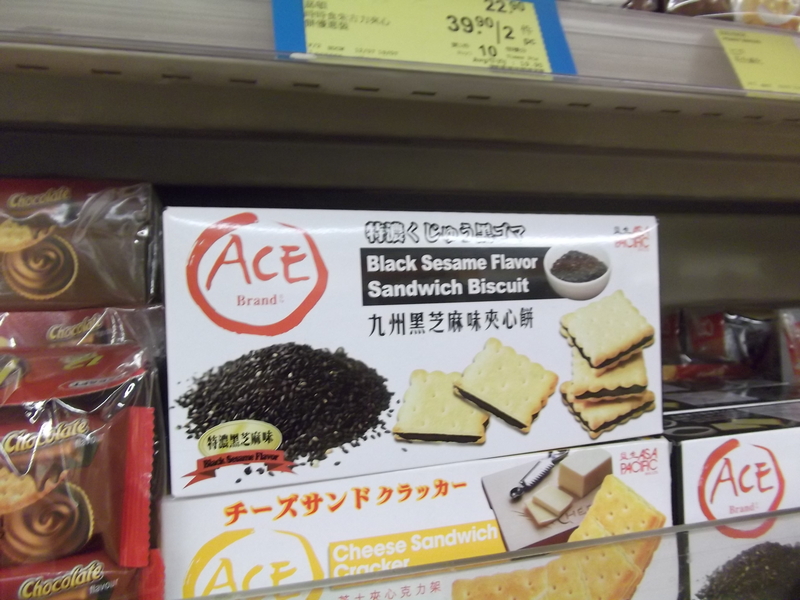 Thankfully all the foreign brands are available from all over the world. Huge expat population here.